 General registration for MedWAR NW 2019 is now open! Teams: 10 teams of four (4) racers. Alternatively teams of three (3) racers will be allowed. Cancellation policy: If your entire team cannot make it to MedWAR NW 2019, you may request a partial refund or credit for another race until April 11, 2019. If your team cancels after April 11, your race funds can only be transferred to another race. Substitutions will be permitted any time before the race begins but must notify the Race Directors ahead of time.